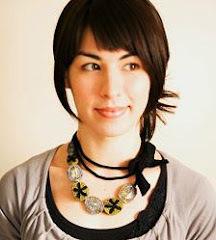 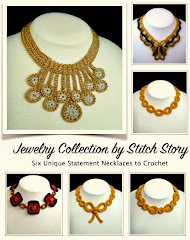 I am so happy to be able to reveal "The Cure" necklace, featured in the latest issue of Tangled online magazine. 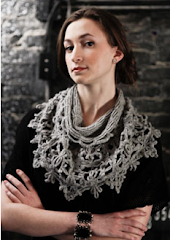 It is a special issue in honor of the Sock Summit, so all of the patterns use sock yarn. 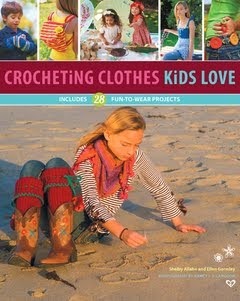 It really is a fantastic issue filled with beautiful designs. 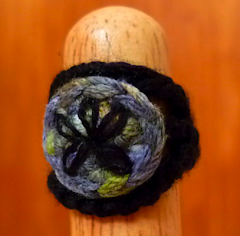 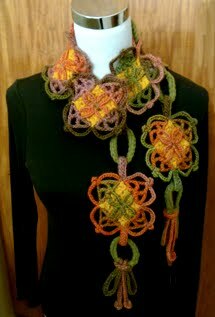 When I saw the call for submissions for this issue I was thrilled, as I enjoy using sock yarn for accessories. 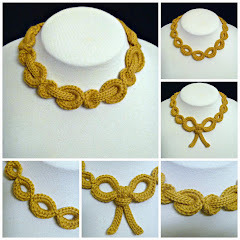 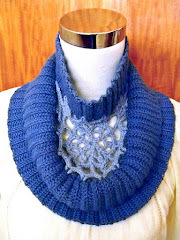 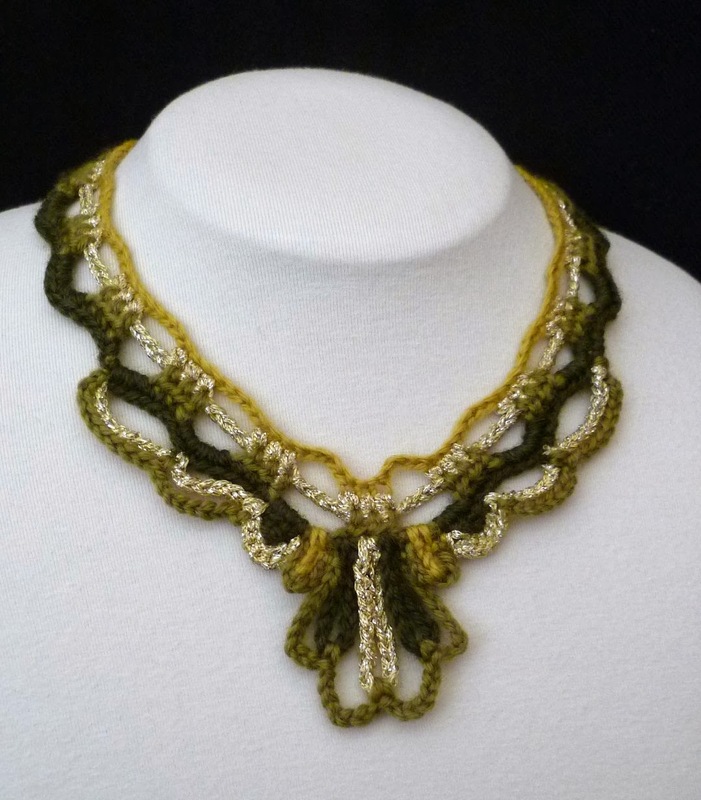 The background squares in this necklace and the linking rings are crocheted in Berroco's Comfort Sock yarn. 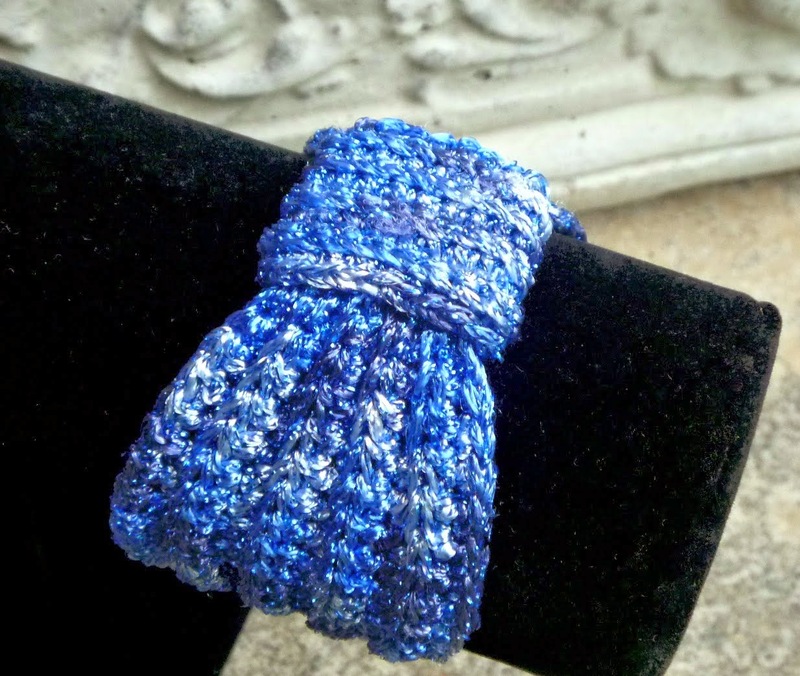 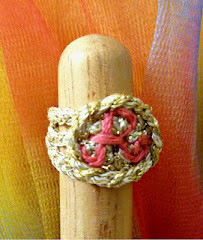 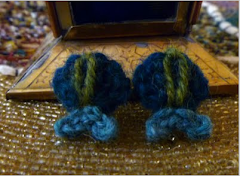 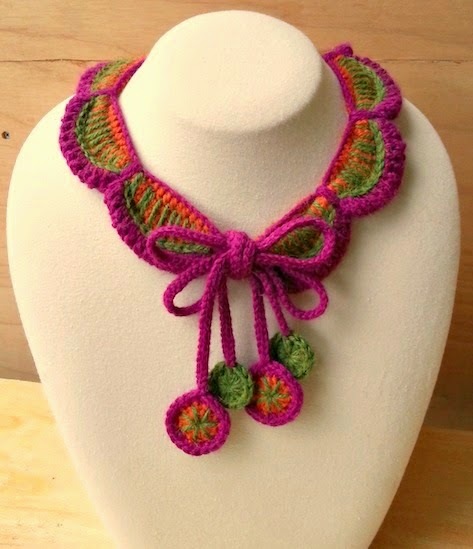 It is one of my favorite yarns for jewelry making, since it is fine and soft. 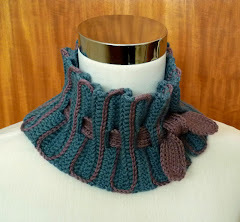 It is perfect for wearing next to the skin. 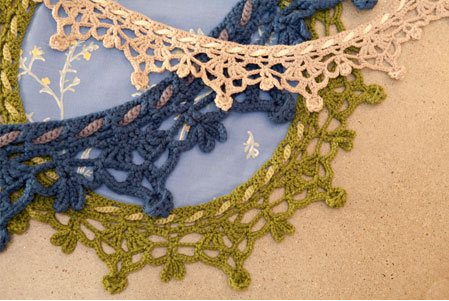 I chose DMC variegated pearl cotton for the motifs and ring detail, as I needed something finer than sock yarn, and the shades of color give the motifs depth. 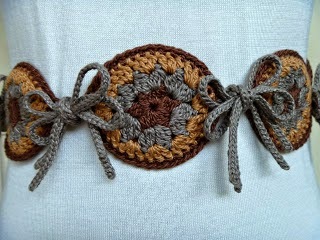 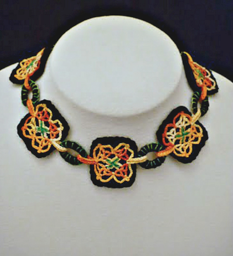 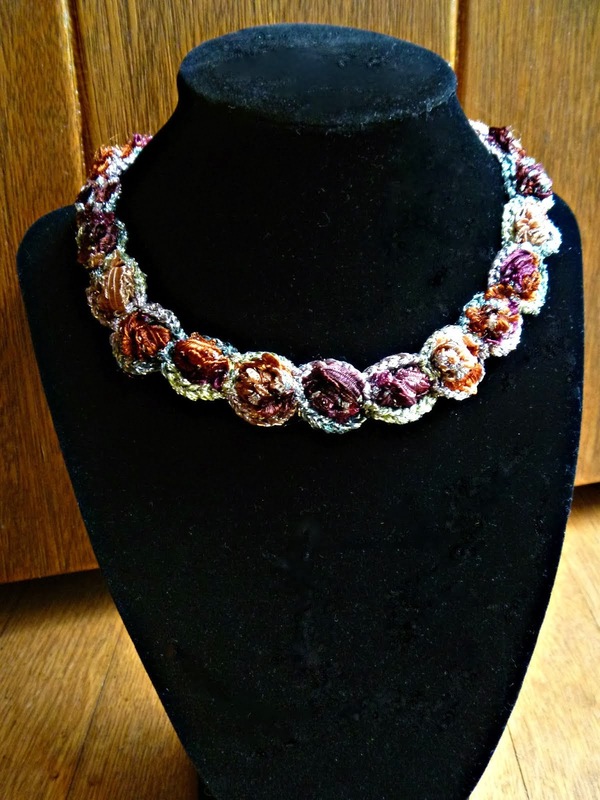 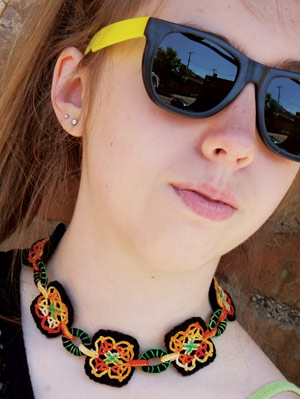 This necklace is rated "experienced", because it includes thread crochet with a 1.65mm hook, and embroidery embellishment. 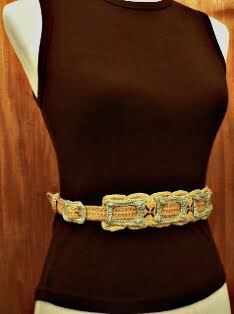 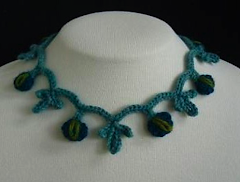 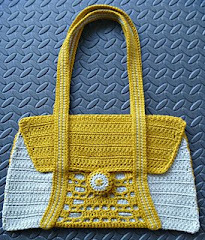 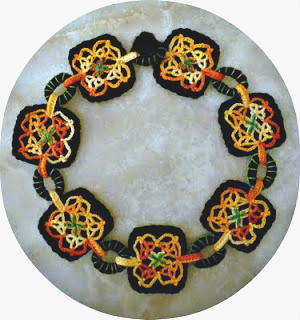 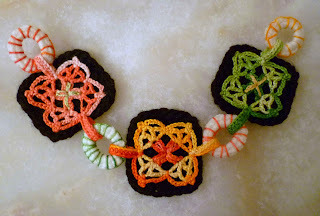 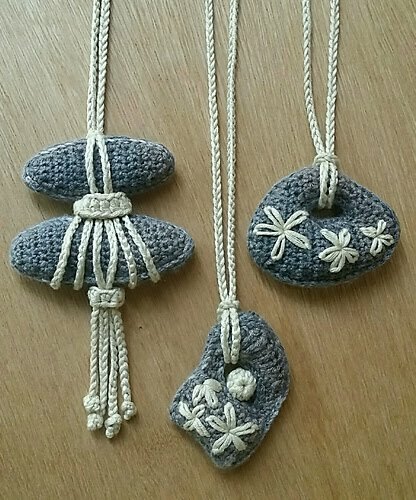 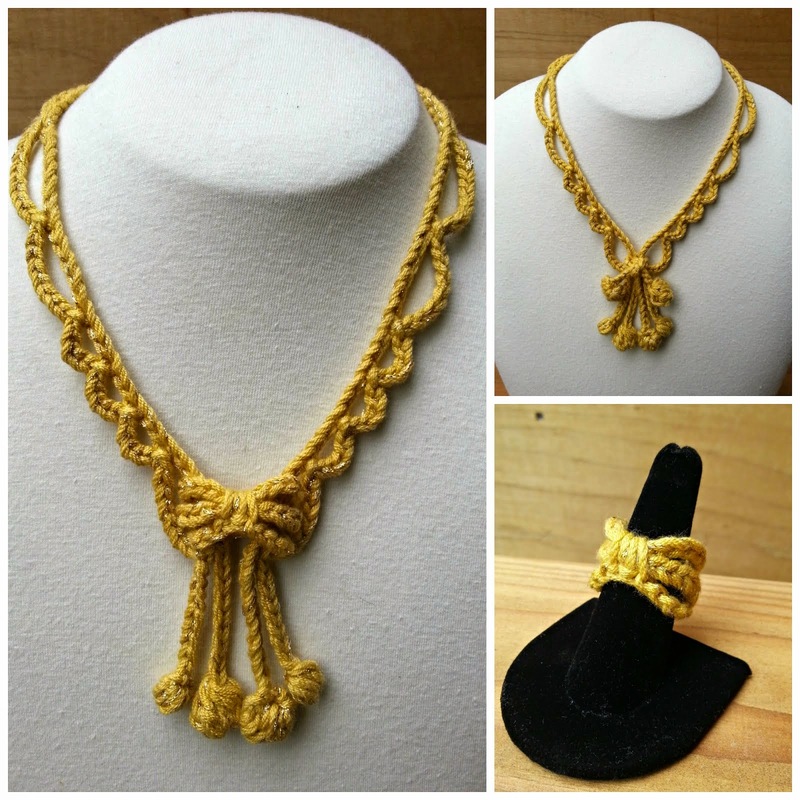 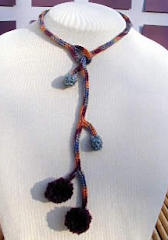 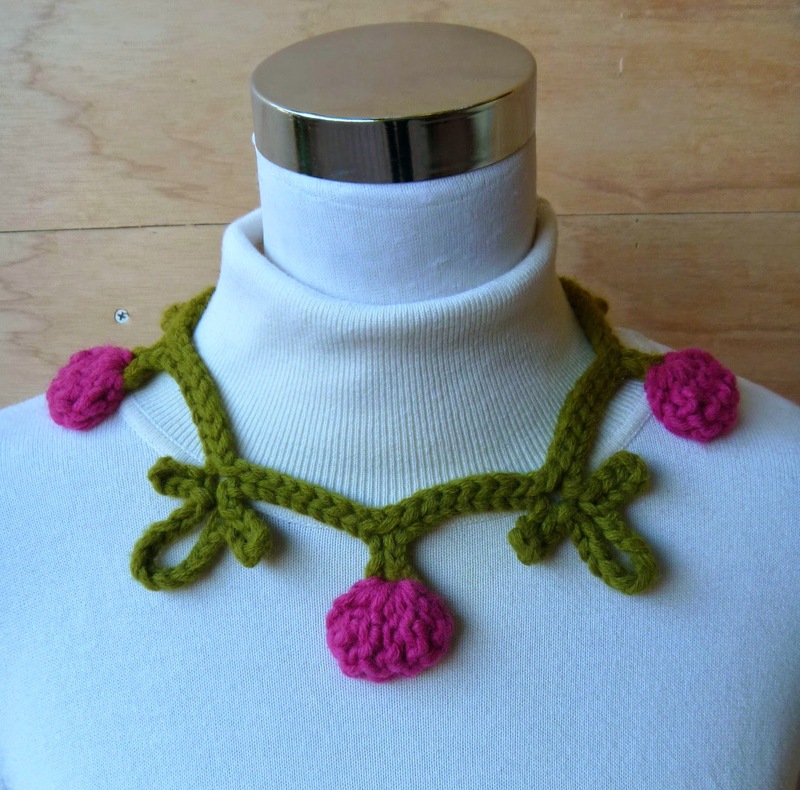 The Crochet work goes quite quickly, because there are only 3 elements in the necklace, and their patterns are easily memorized. 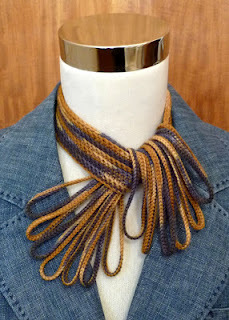 The really fun part of the project comes at the end, when you get to combine all of the pieces and see it come to life. 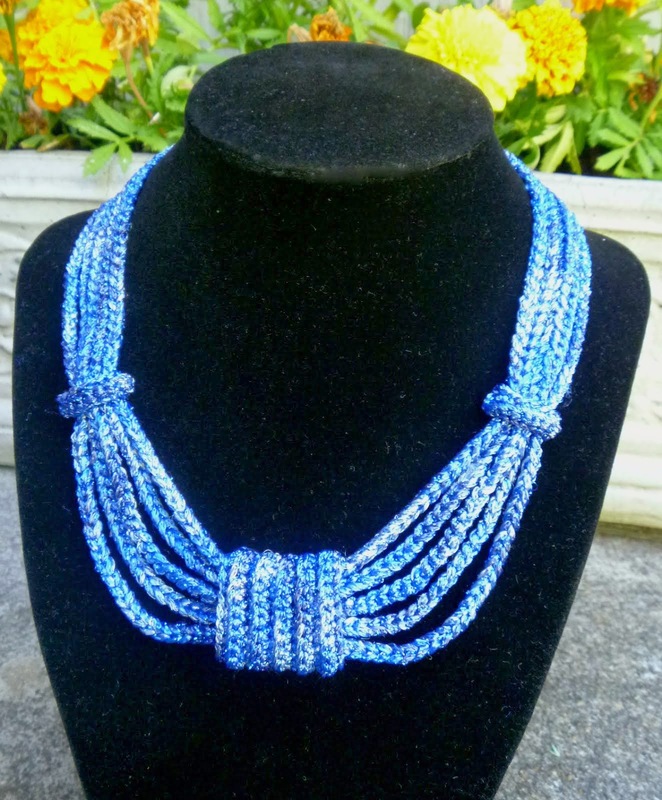 It is an eye-catching accessory that will turn heads wherever you go! 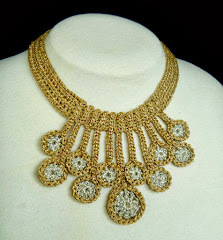 You can customize the size of the necklace, by adding or subtracting motifs and ring links to make it your desired length. 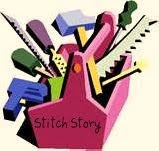 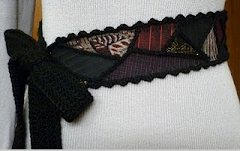 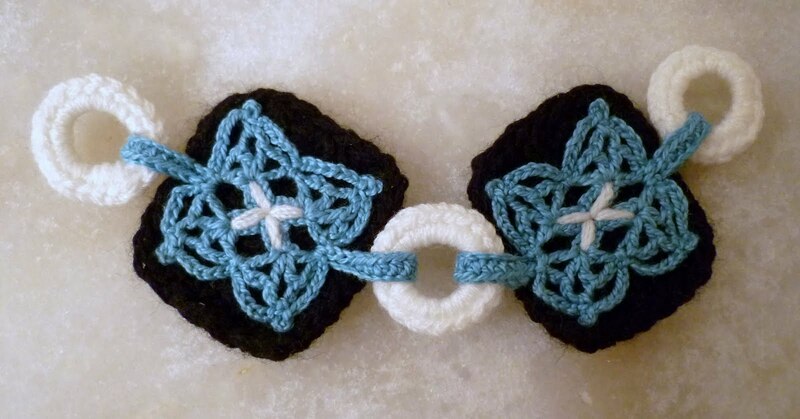 UPDATE: I have just created a stitch diagram for the motif and added it to the pattern pdf. 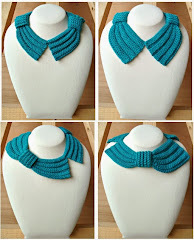 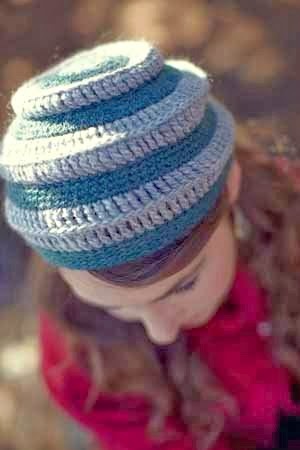 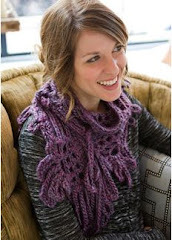 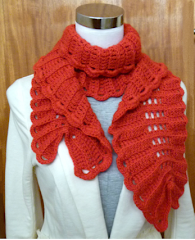 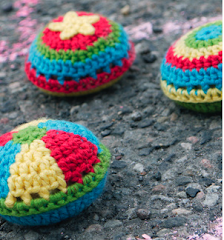 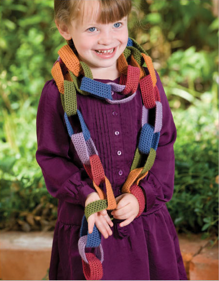 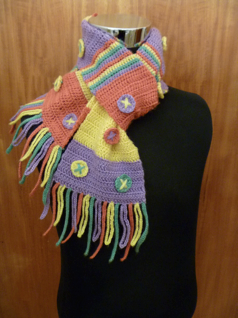 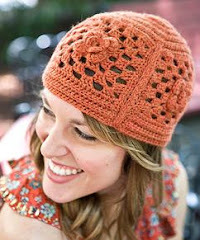 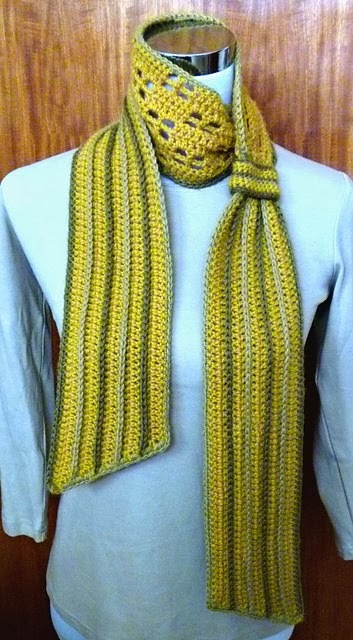 If you would like to purchase the pattern, it is available for sale from Craftsy for $2.99. 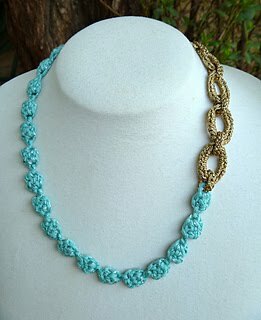 Very beautiful Celtic necklace.great work!!! 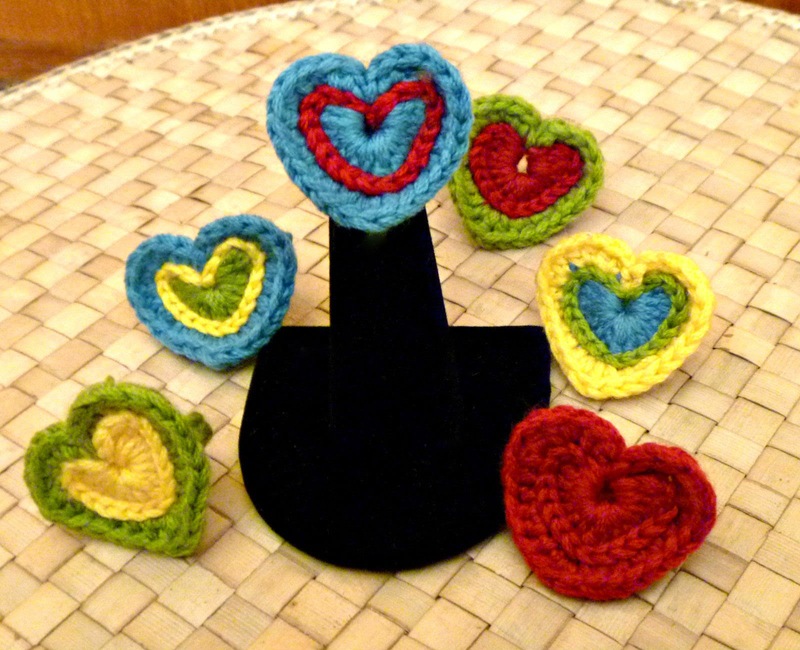 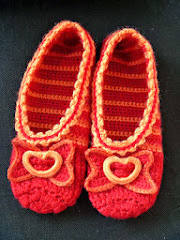 Thank you so much Lily and CrochetBlogger! 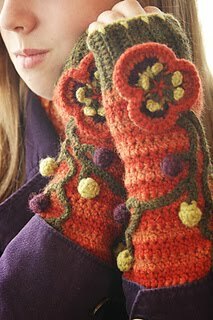 The Kyoto Coat Inside Out! 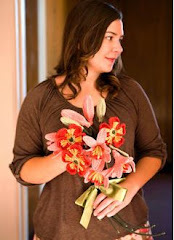 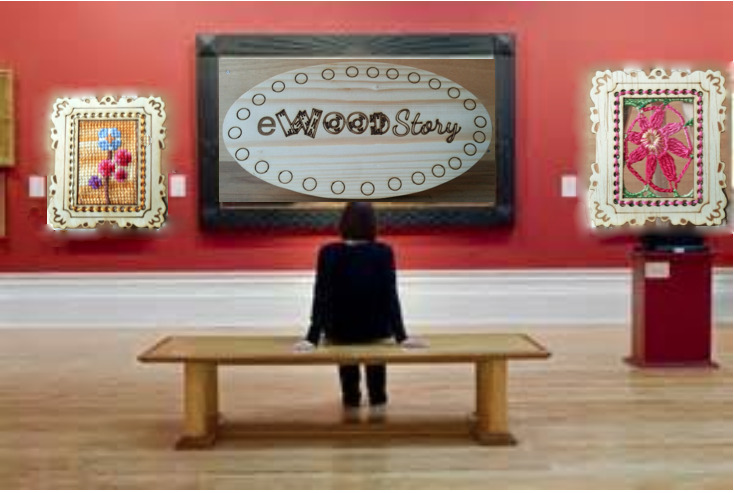 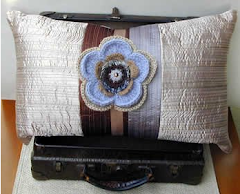 My Latest Discovery: The Eugene Textile Center! 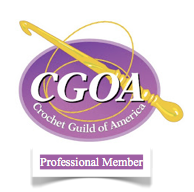 A Crochet Friendly Yarn Shop in Eugene!